Topline: 2019 GMC Sierra Denali pickups began arriving at dealerships last week. More are en route, each carrying with them small refinements to the concept of workhorse. What's New: Like a bad date, the GMC Sierra Denali calls attention to its bed almost immediately. 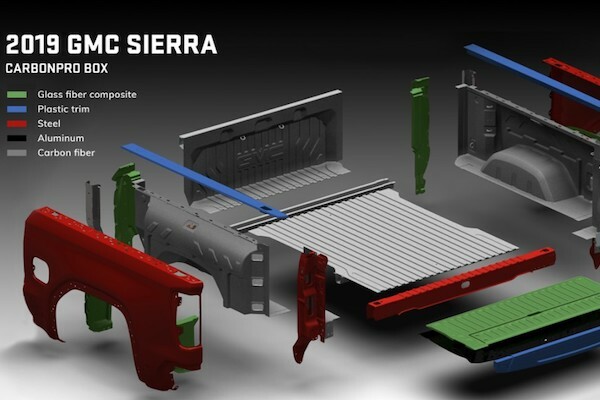 Unlike that of a bad date, the CarbonPro bed is a thing of interest, as it will be first carbon fiber-paneled bed in the pickup truck market upon its arrival later in the 2019 model year. A GMC spokesperson confirmed to The Drive that it will be available by the end of 2018. Access to the contents of said bed is through the truck's new MultiPro tailgate (standard on SLT/Denali models) with a standing workstation mode and step entry, with a weight capacity of 375 pounds to accommodate a two-person tailgate party. Towing a camper or trailer to expand the festivities will be made easier by integrated towing assist systems. A three-by-seven-inch, multicolor head-up display maintains the driver's focus on the road, and a rear camera mirror keeps them oriented in their surroundings. Heated and ventilated front seats keep one's keister within the right temperature range, and the heated steering wheel does the same for hands. Download of individual driver settings from the cloud readies a vehicle for various drivers, while built-in infotainment is both Apple Carplay and Android Auto compatible to account for differences in mobile device preferences. LED headlights, fog lamps and style elements within the taillights are standard on the 2019 Sierra Denali, as are the body-colored bumpers, chrome exterior accents and faux-chrome grille with matching exhaust tips. Aluminum wheels come 20 inches wide as standard, but can be swapped out for 22-inch alloys at request. Quotable: "GMC ignited the premium truck market 17 years ago with the launch of the Sierra Denali and the next-generation model sets a new standard with unparalleled advancements and exclusive design," stated Rich Latek, marketing director of GMC, in the company's press release. "It offers more upscale appointments, purposeful technologies and capability—solidifying Denali as the ultimate in professional grade." What You Need to Know: The hotly anticipated CarbonPro bed won't be available until later in the 2019 model year, so those keen to have the latest tech in their pickups may need to wait until the checkbox is no longer greyed out on order sheets. 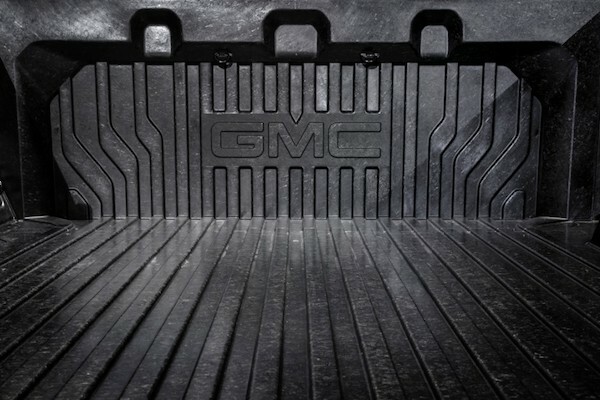 A GMC spokesperson confirmed to The Drive that despite press materials stating that AT4e and Elevation models would not be available until later, the two are already available for order. A full-size, bowtie-branded SUV analogue to the Sierra Denali can be found in the 2019 Chevrolet Suburban Premier Plus in case your family is too big for the crew cab Sierra Denali. Those wishing for a rowdier experience than the above may want to wait for Ford's word on whether the Ranger Raptor will come Stateside, though being in a smaller class of pickup truck, it's hardly a direct competitor with the Sierra AT4, let alone the Denali.